Highly fearful individuals show attentional biases toward threat. However, it is still unclear whether initial engagement of attention toward threat or difficulties to disengage from threat is the underlying mechanism. We used eye-tracking to investigate how quickly fear-relevant pictures are identified and whether they distract from the allocation of attention toward neutral targets. Pairs of fear-relevant and neutral pictures were presented to 18 high and 16 low spider-fearful participants. They were instructed to either fixate on a target or to fixate on the opposite picture, while eye movements were monitored continuously. Overall, fear-relevant targets were fixated more quickly than neutral targets. Spider-fearful participants had longer latencies when they had to identify the fear-relevant but fixate the neutral picture. 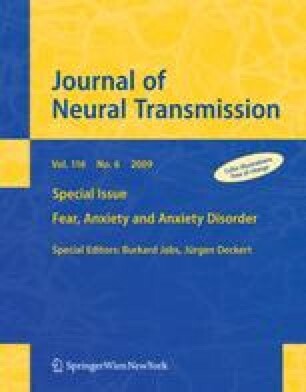 Thus, attentional allocation toward threat was not specifically enhanced in fearful participants. Instead, they had difficulties to disengage attention from fear-relevant information. This disengagement deficit could be a cause, a correlate, or the result of phobic fear. We acknowledge the support by the Research Group Emotion and Behavior which is sponsored by the German Research Society (DFG).